We already know how powerful CAD is and how dominating the artificial intelligence is. What if, these two things come together and present you on a single platform to work efficiently? Great idea, Right? CAD designing company PTI and ANSYS are working together to integrate the cad modelling with artificial intelligence. 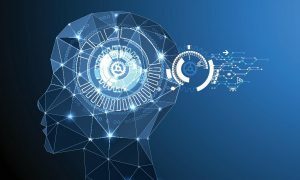 PTC bought the Artificial Intelligence expertise company Frustum Inc for $ 70 Million so that they can integrate the AI services into CAD software. The company is also planning to add AI to their product Creo 3D CAD. The company is all set to dominate the CAD software market by this acquisition. How will AI work with CAD to design 3d cad models? The Frustum AI algorithm learns from the patterns of input. It analyses the inputs, the values, the required result, and stores all these values in the database. By calculating all these value metrics, the software gives the output which is then sent to the further processes. In the case of the CAD designing, the CAD software will ask few inputs from the user including (but not limited to) design type, parameters, colour combination, material type and give multiple outputs for the respective inputs. The drafting contractors then select the most suitable design for their further process and start working on the blueprint. The main highlight about this integration is that it will suggest you multiple design approaches and you can choose the best one and move ahead. By taking parameters, the software itself creates and renders multiple drafts at a time and gives you improvement suggestions instantly. It will be proficient for all design agencies, students, cad engineer on contract and many. For example, if you are designing a car’s headlight, then the Frustum platform will show the result of your design, and along with this, it will also give you some additional prototypes as well. Now, that’s a really useful thing, correct? You can expect professional quality in your cad drafting services!! By the use of artificial intelligence services in the CAD software, even a beginner can work easily and create professional looking designs easily. Unlike the traditional platforms, the error rendering process will receive an easy path with AI. As the software learns from patterns and other designs, the engineer will be able to draft their designs without any error which was made previous time. Another productive advantage of this platform will be the instant simulation of the object. Previously, for the simulation process, we were supposed to wait for a couple of minutes and only after that the result was visible. This new platform will analyze the previous work data and values and render the result faster and more accurate. Nees professional cad services Sydney company for your CAD projects? Then you can contact any popular company in Sydney for your work, or you can also hire a dedicated engineer for your work.